BadukMovies started out in March 2012. The episodes are created by Peter Brouwer 6D, Kim Ouweleen 4D, Cho Hye Yeon 9p, Kim Sung-rae 8p, Yoon Youngsun 8p, YoonYoung Kim 4p, Alexandre Dinerchtein 3p, Baek Jihee 2p and Gansheng Shi 1p. BadukMovies is heavily inspired by RailsCasts, a screencast show with weekly screencasts about web development with ruby and rails. Instead of web development BadukMovies covers a wide variety of topics on go. It aims at publishing at least one new episode each week and planting igo trees all over the world. 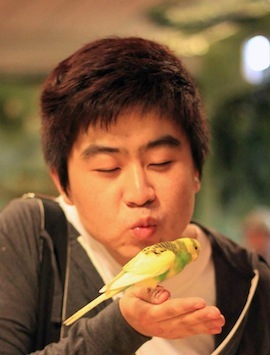 Born in Suwon on June 7, 1985. 1997: Became a professional and reached the semifinals of the Women's Kuksu. 2000: Runner-up at the Women's Kuksu and the Heung Chang World Women's Cup. 2003: Won the championship in the Women's Kuksu. Runner-up at the Women's Myung-in. Advanced to the Osramkorea Cup finals. Earned the MVP award of the women pro players. 2004: Won the championship in the Women's Myung-in. 2005: Won the championship in the Women's Kuksu. Won the championship in the Joenjaland Women's race. Runner-up at the Women's Myung-in. Runner-up at the Women's Masters Cup. 2006: Runner-up at the Women's Myung-in. Runner-up at the Jeonjaland Women's race. Runner-up at the Women's Kuksu. 2007: Became member of the Korean Baduk League. Won the GG-auction team competition. 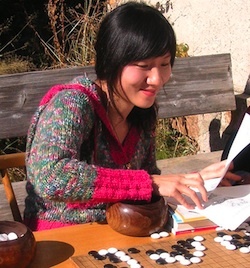 2009: Runner-up at the Women's Myung-in. 2010: Became 9p. Won a gold medal at the Guangzhou Asian Games. Won the GG-auction team competition. Qualified for the olleh-KT Cup final. Runner-up at the Women's Myung-in. Runner-up at the Women's Kuksu. 2012: Won the Hwajungchaup World Women's team competition. Won the GGAuction women and senior team competition. Author of many English go books - 100 tips for amateur players, Think like a Pro Haengma and Think like a Pro Pae. Kim Sung-rae is a 8 dan Hankuk Kiwon professional. He was born 11 november 1963 and became professional player in 1996 when he was 34. He is the author of many English language books - Speed Baduk, Train like Pro, After Joseki, 21st Century New Openings etc. 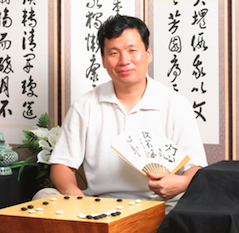 He was the headmaster of the King's Baduk Center (an international Baduk school) in 2009, South Korea. 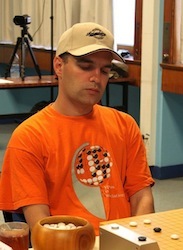 From 2010 to 2011, he teached european players at the Korean Baduk center in Budapest, Hungary. His first daughter became professional player in 2011. I became a professional Baduk player in 2003 and was promoted to 2p in 2010. 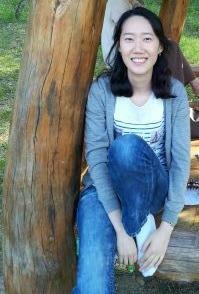 In 2009, I graduated from Myongji University with BA degree in Baduk Studies. 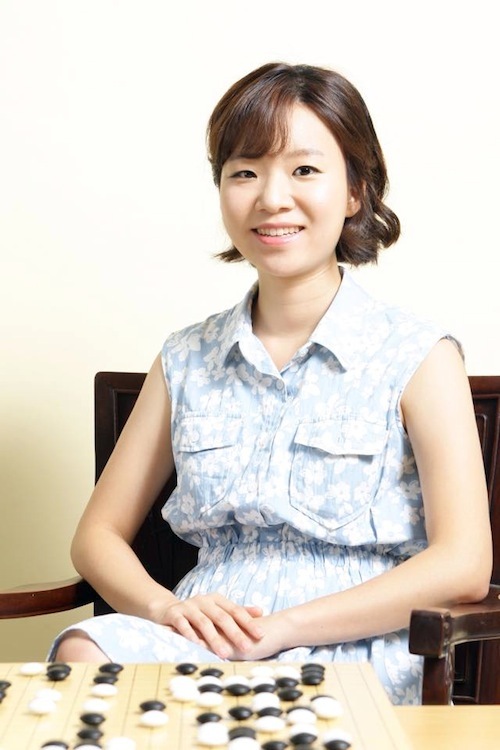 After I graduated, I have taught Baduk to soldiers, university students, and members of Korea Women Baduk Association once or twice a week for almost 2 years. Through these teaching experiences, my colleague Lee Dahae 4p and me got the idea to publish Baduk books for adult beginners in 2011 and it is called “Falling in Love with Baduk”. Now I study for the master’s degree in Baduk. I hope you will learn a lot from my lectures while having fun! My name is Gansheng Shi. I started Go at the age of six and have been playing for 13 years now. My childhood goal has been to become a go professional but that changed after I moved to Canada at the age of nine. However due to a lucky opportunity I was able to become pro thanks to Tygem and the AGA for holding the first American pro test. My best accomplishments so far where to win Redmond Cup two years in a row. I represented Canada in the Korean Prime Minister Cup, World ING Youth Championships and World Amateur Pair Go Championship Tied first in the Canadian Open. After I became pro I went on to train and study with Korean pros in Korea I have many pro friends and played in two Korean Pro Tournaments: the Olleh Cup and the MyungIn. 2006 won the Taeback team tournament. 2006 third place at the Hackcho cup tournament. 2007 placed second at the Seodong cup tournament. 2007 third place at the Michoohol cup tournament. 2008 third at the LG cup tournament. 2008 third at the Seoul cup tournament. 2006-2013 teaching baduk in different elementary schools. In one sentence: 7 times European champion. I started to play Go in 1986. I was 6 years old and my father (10 kyu) was my first teacher. For the several years I was playing both chess and go, but from the age of 10 I gave up chess and started to learn Go more actively with a new teacher Valeryi Shikshin, 4 dan and his students. I was very fortunate to be living in Kazan, because it was the capital of Russian Go. There were so many top players around me : Ivan Detkov 6d, Valeryi Solovyev 6d, Ruslan Saifullin 6d, Rustam and Nail Sahabutdinov both 5d, Alexei Vasilev 5d and Roman Gataullin 5d. They kindly gave me Go lessons and I owe them a big debt of gratitude. In 1996 (I already was a 5-dan) Cheon Pung-cho, 7-dan professional from Korean Baduk Association (KBA) invited Svetlana Shikshina (daughter of my teacher) and me to study Go in Seoul. First of all I was really surprised at the level of the Korean children. I was living in one of the largest Go Schools, and there were around 20 students who were both stronger and much younger than me. Later I changed clubs several times, but I was never the strongest player in any of them. 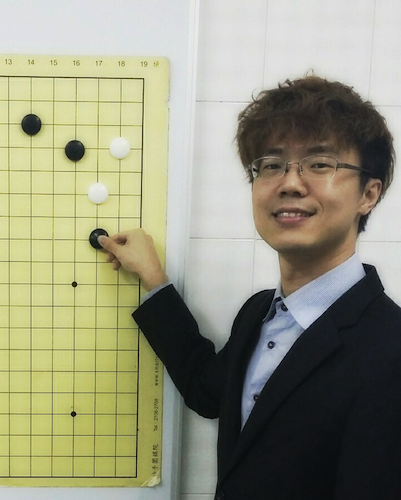 I studied Go with Pak Yeong-hun, who was already the strongest Korean amateur (I only beat him once, in 1998), Pak Chi-eun 9p, Yi Chae-ung 6p, Yi Ta-hye 3p, Kang Don-yun 9p, Ko Kun-tae 7p and later, from 2001, with Pak Cheong-sang 9p, Chu Hyeon-wook 7p and Pak Chi-hun 3p. By the time you read this article many more of the children who were training alongside me will have become professionals. I became a professional in 2002, by the special decision of the KBA with the kind support of Cho Nam-ch'eol 9p, an honorary member of the KBA, and my teacher Cheon Pung-cho 7p. I am probably not the weakest professional here, but to be honest, I would say that there is about 1 stone difference between me and the other new professionals in Korea. Nowadays I am still studying hard to make this difference smaller. Has been playing go for over 20 years now. First in Amsterdam, later in Århus, Denmark and now again in Amsterdam. 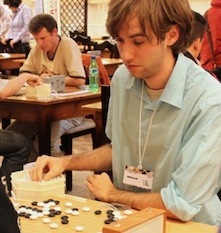 Played at the 2004 amateur world championships in Kurashiki, Japan. Runner up at the Dutch championships in 2010, 2011 and 2015. Dutch champion lightning go 2013. Likes strange moves and novel ideas. September 2004: Learned about go and started playing on KGS as Murugandi. 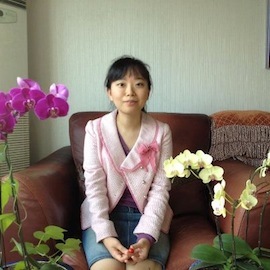 2010: Studied go in Wuhan (China) for three months under the supervision of Yan An 7p After returning home, became 6dan on KGS. 2011: Became well-known in the Western go community as “KGS legend Murugandi”; started the first English spoken video go show for EuroGoTV, together with Harry Weerheijm. Competing for team The Netherlands in the Pandanet European Team Championships. 2014: Winner of the Korean Ambassador's Cup & representing the Netherlands in the KPMC in Seoul, Korea. 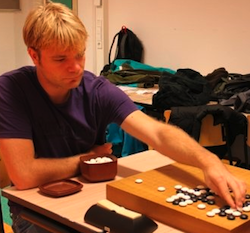 I teach go privately on KGS. I am also an artist and illustrator. For more info on both, see my personal website. Sgfutils For handling sgf files.